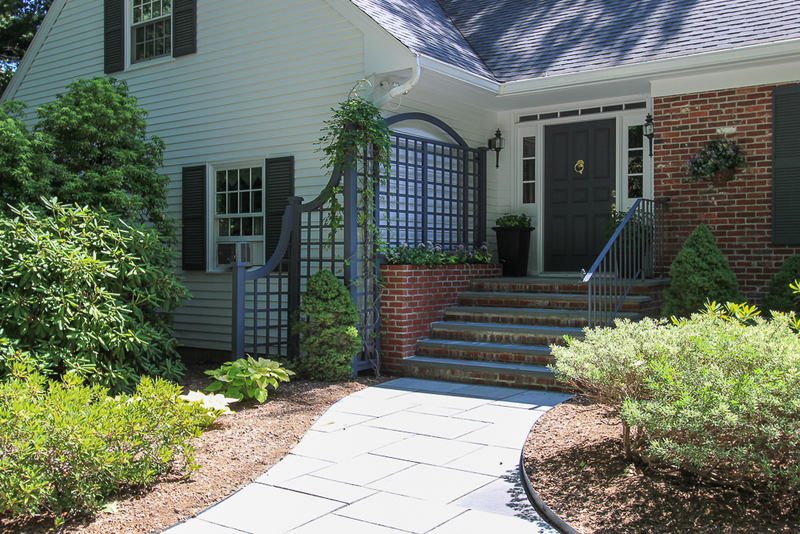 Sold for $895,000 in June 2017. 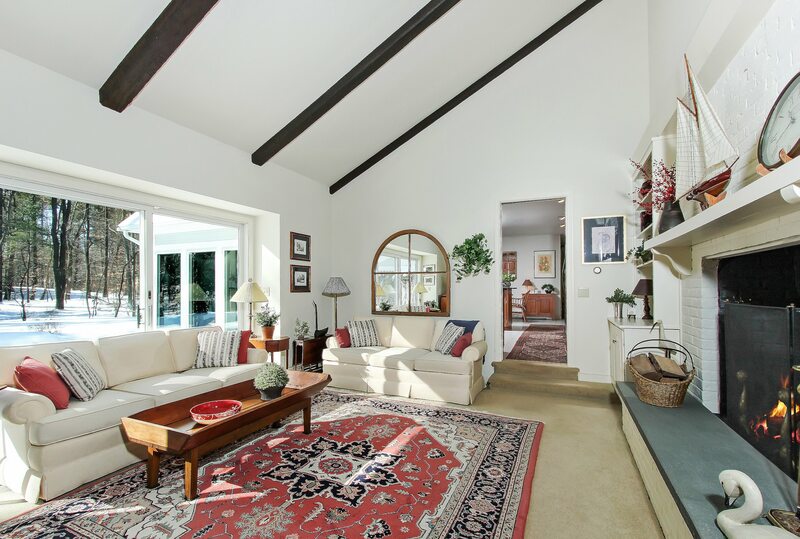 Welcoming approach to this very spacious, well cared for cape style home. 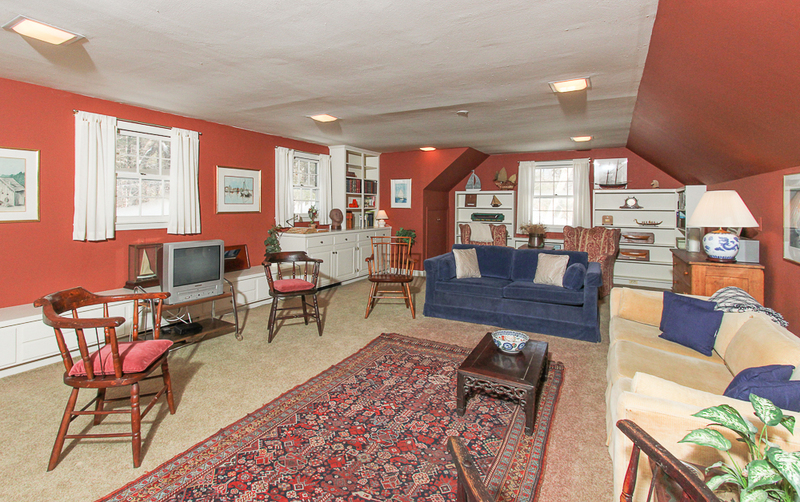 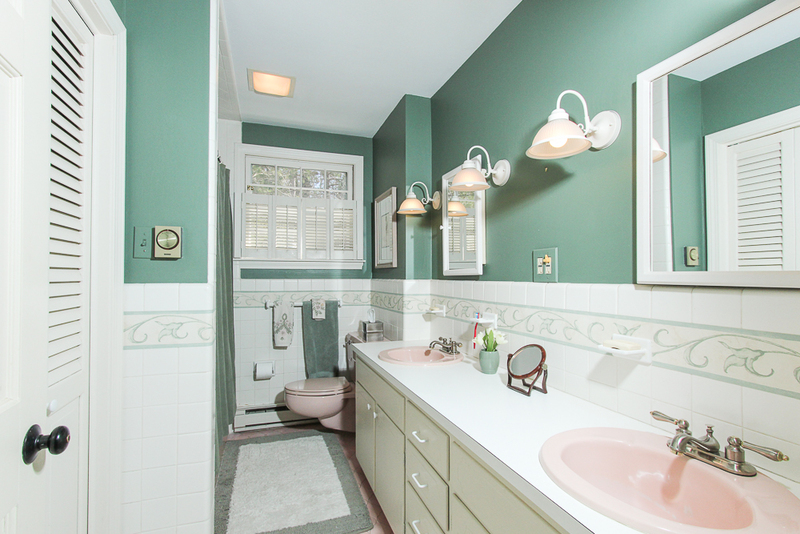 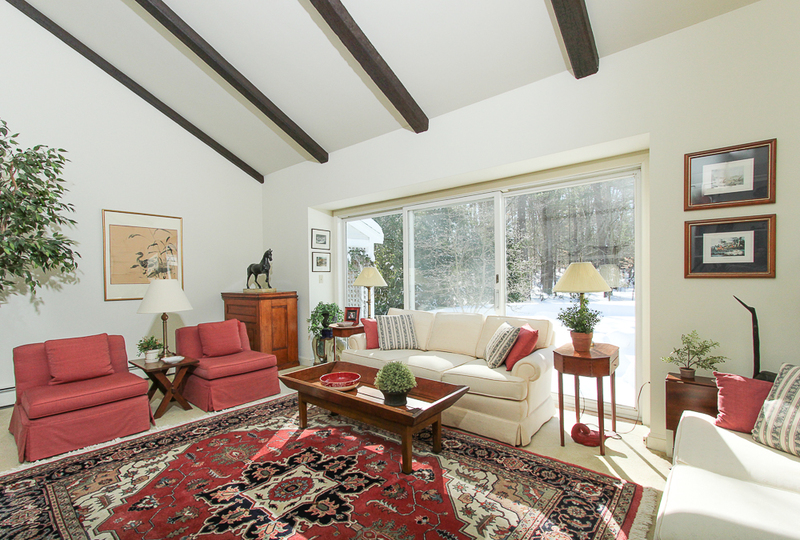 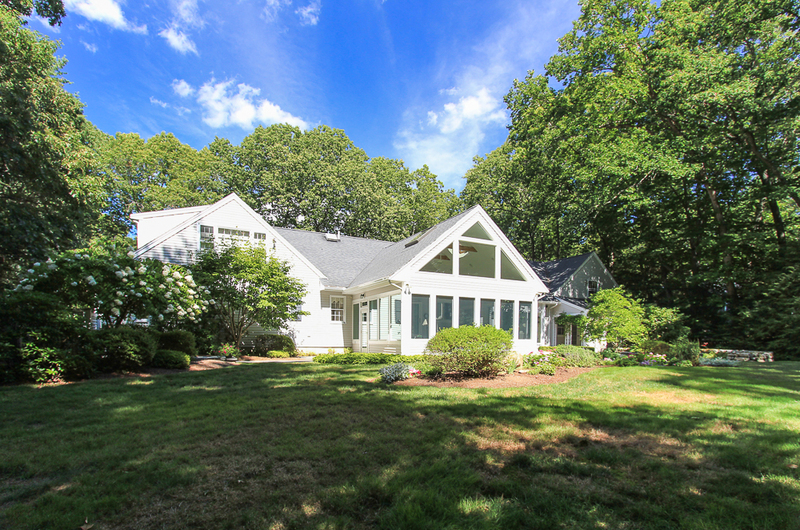 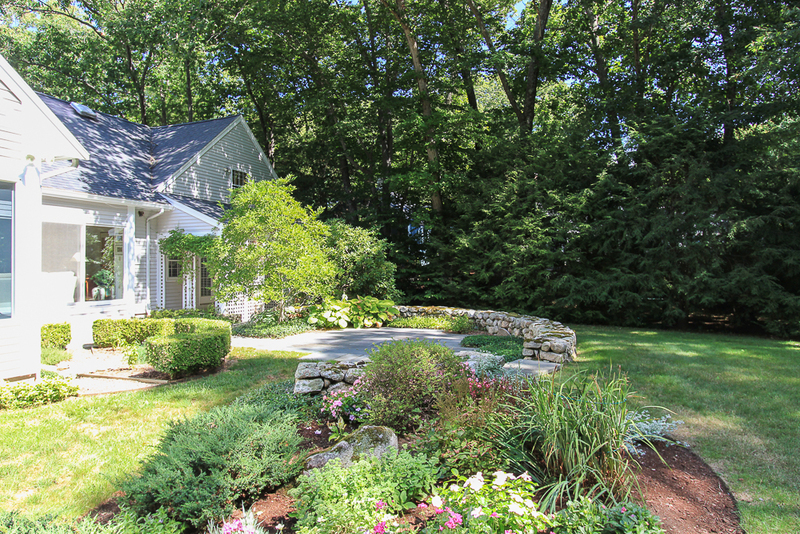 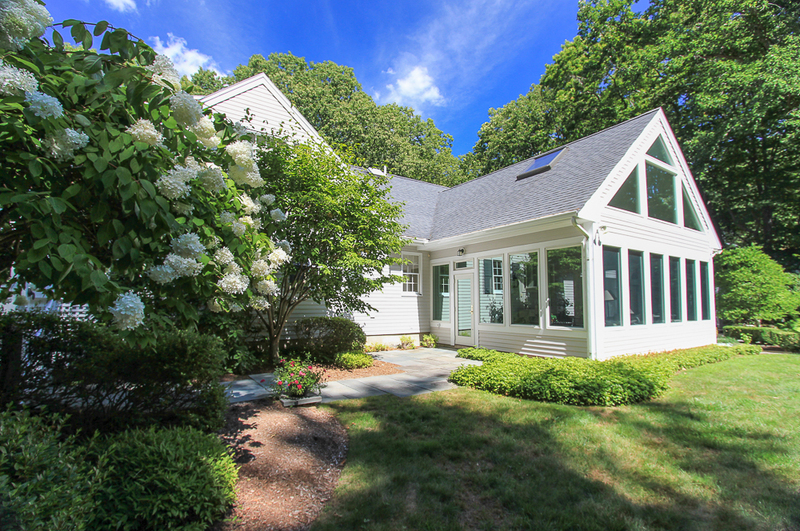 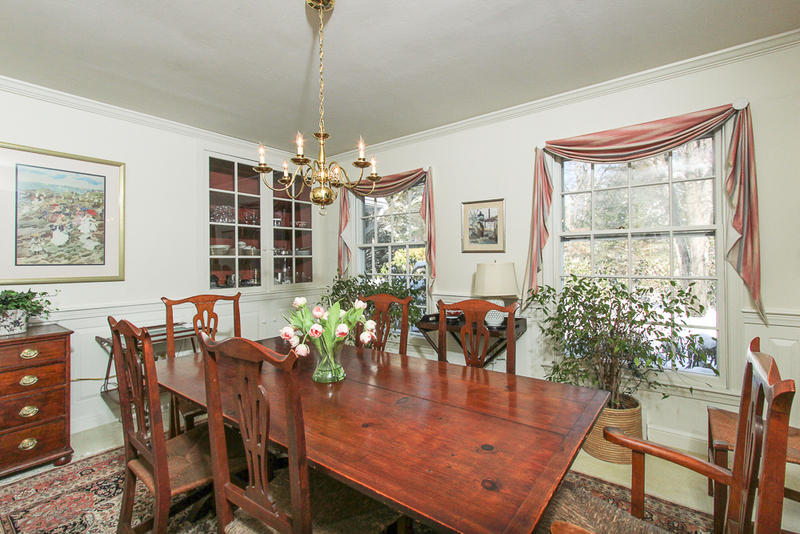 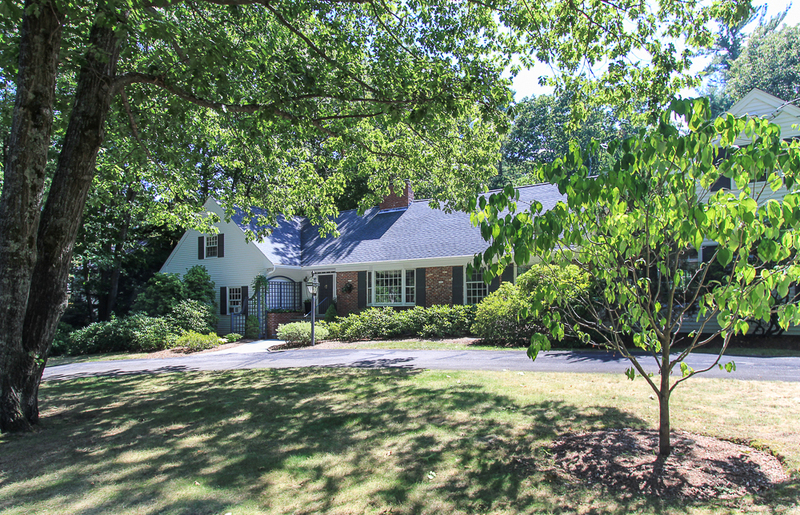 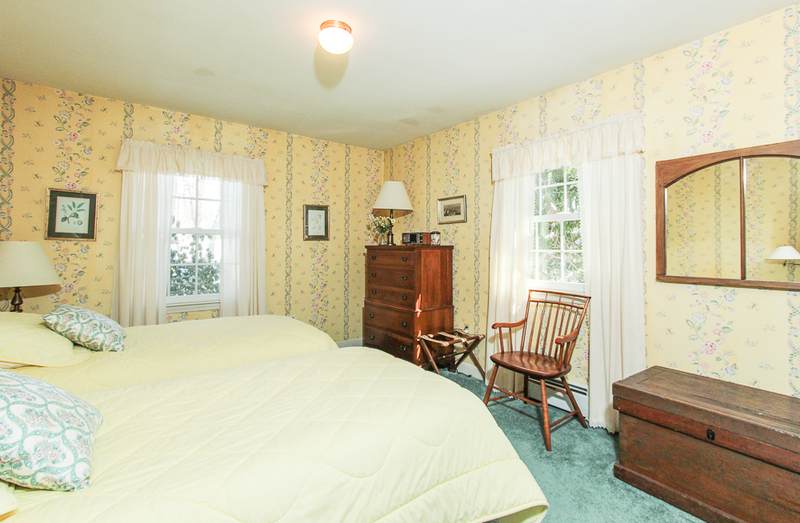 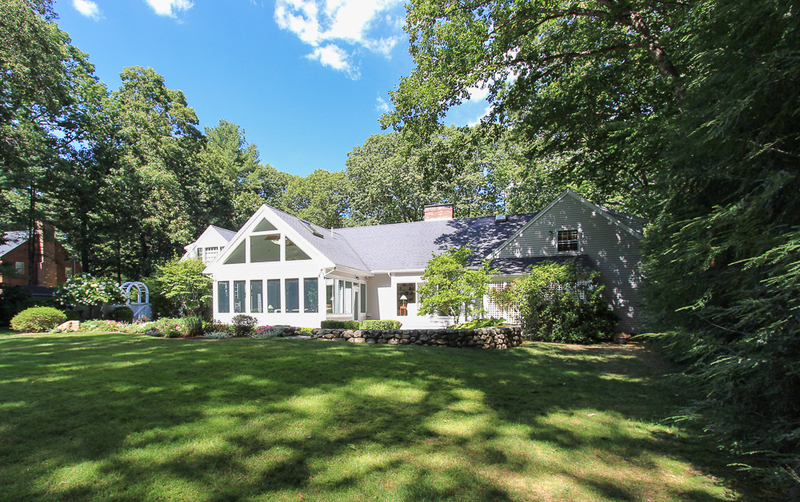 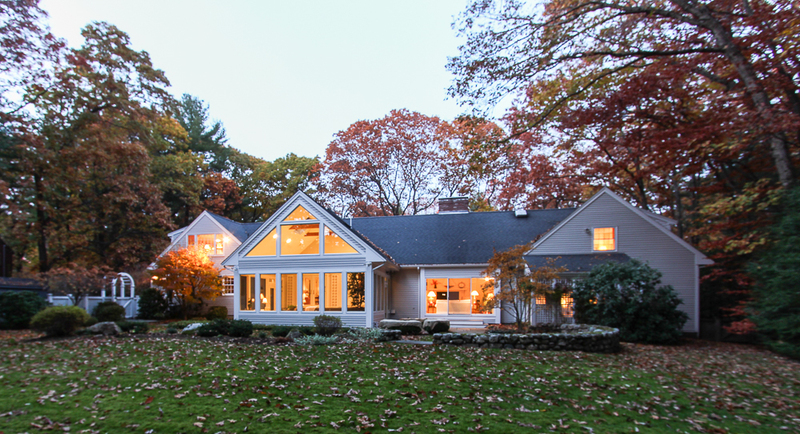 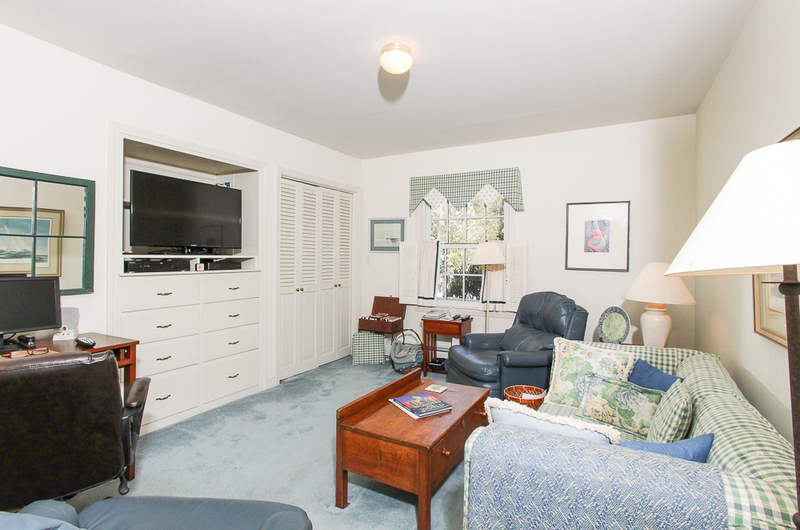 Located in a private setting near the end of a cul-de-sac in a West Wenham neighborhood. 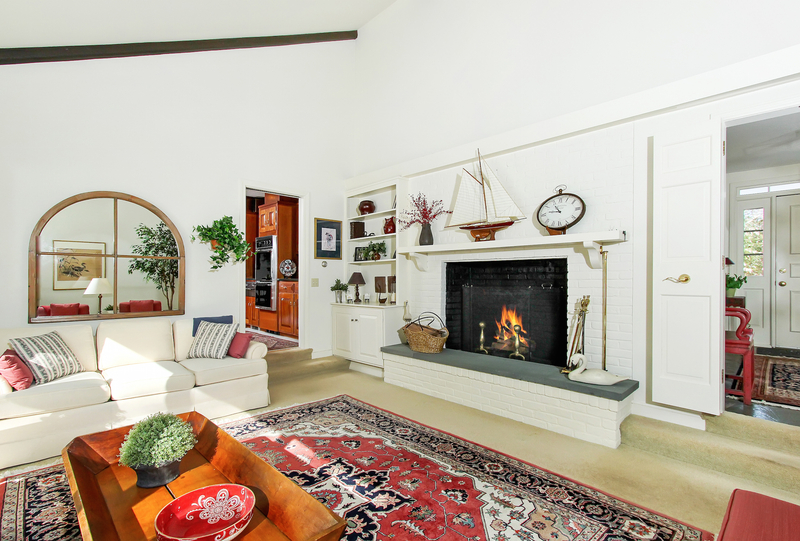 The circular drive invites you to enter through the front door into the foyer and immediately draws your attention to the sunny family room.This room has vaulted ceilings, a raised wood burning fireplace, a glass slider and full length windows that look out to the yard. 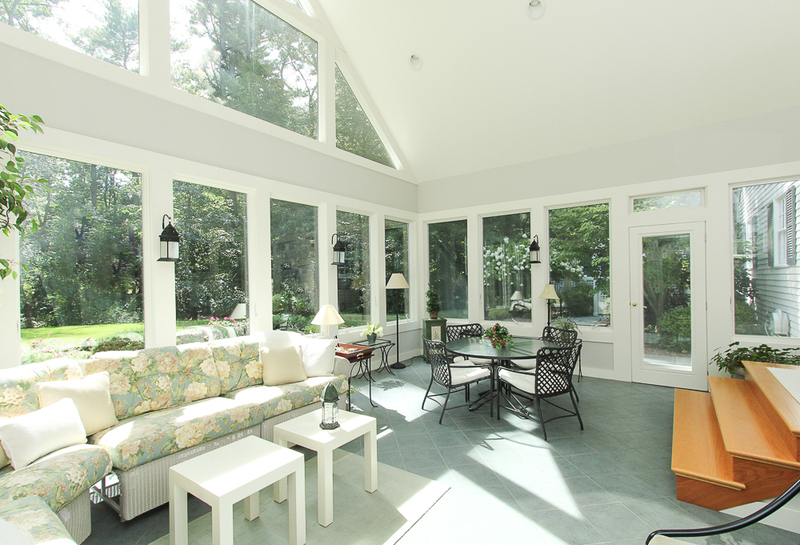 The kitchen opens to both the family room, and through French doors out to the fabulous sun room. 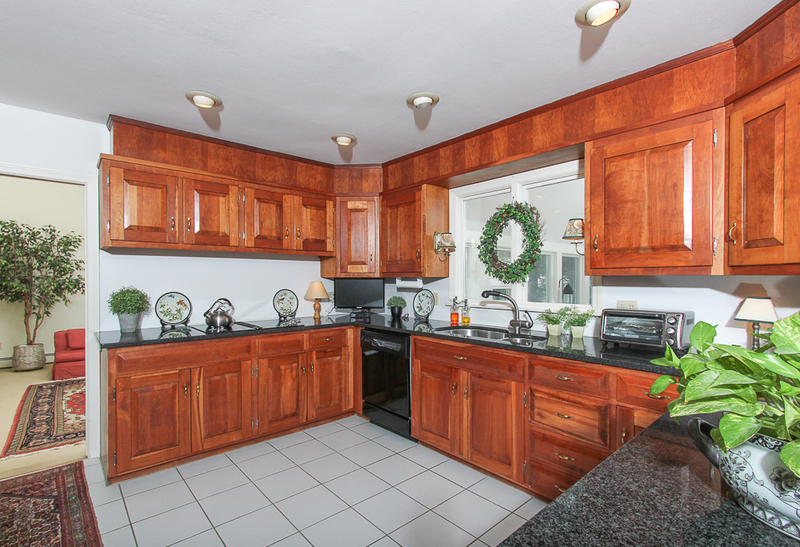 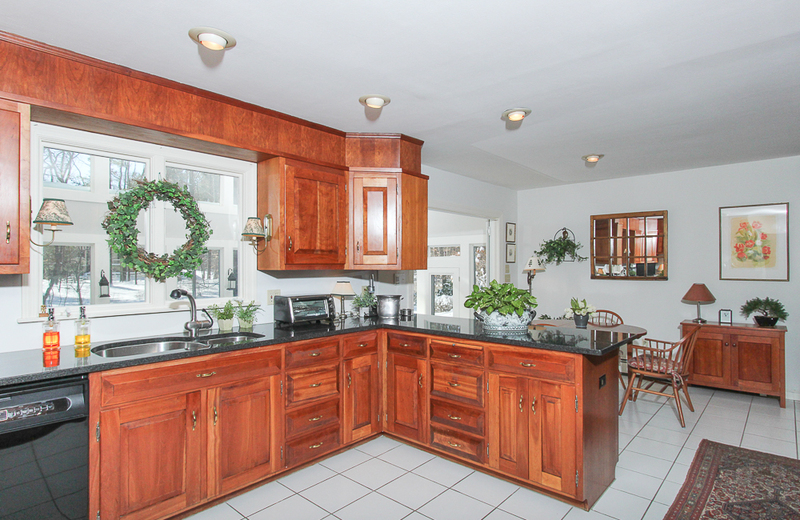 The kitchen has ample cherry cabinets with granite counters. 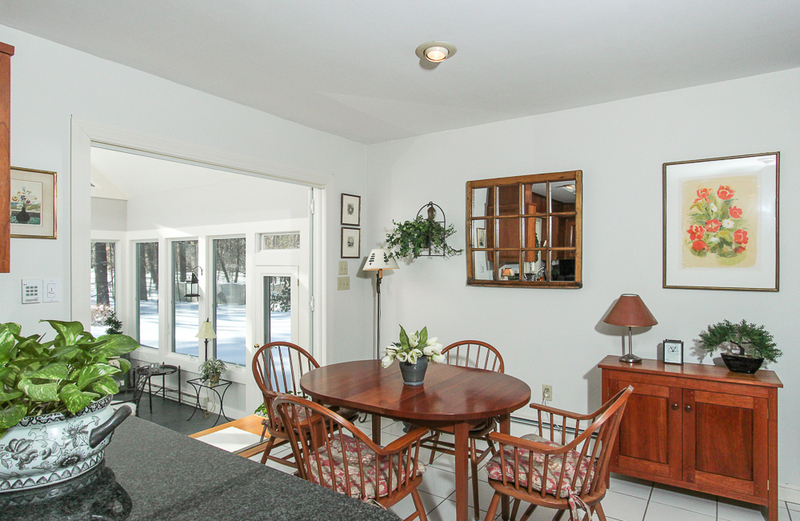 The kitchen dining area sits perfectly in front of the sun room doors. 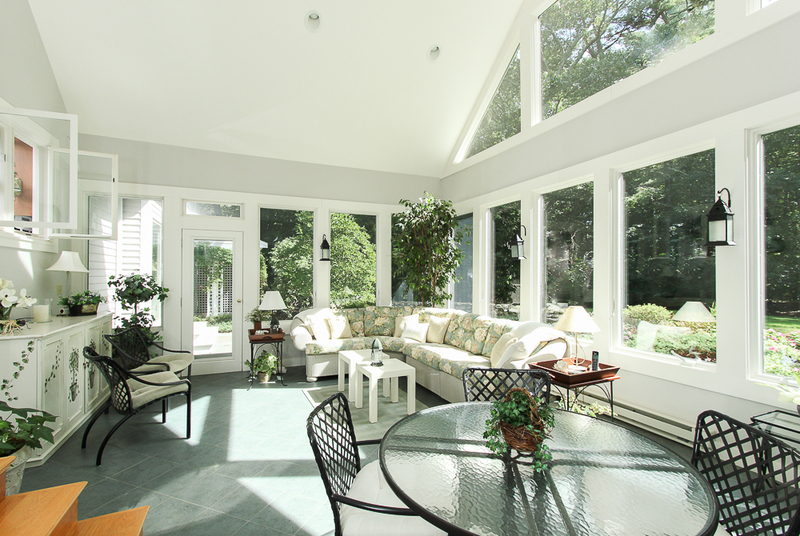 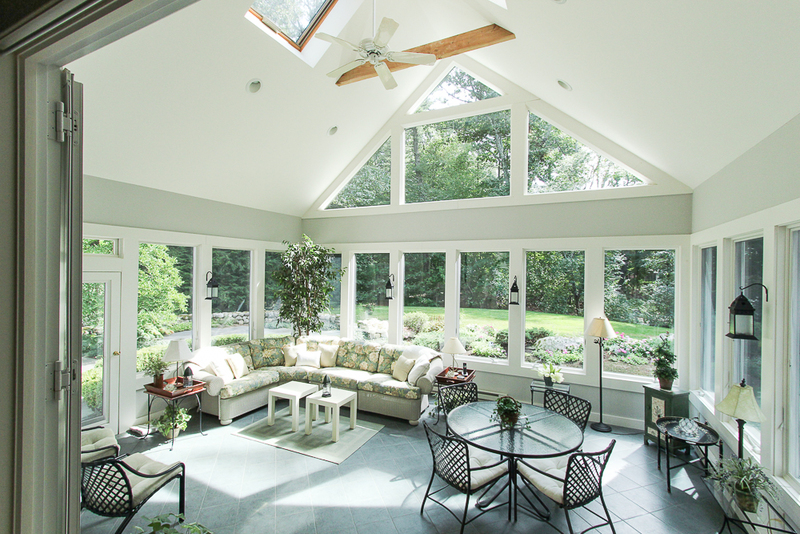 The current owners thoughtfully planned the three season sun room addition with high ceilings, skylights, beautiful tile floors and access to the patio and yard. 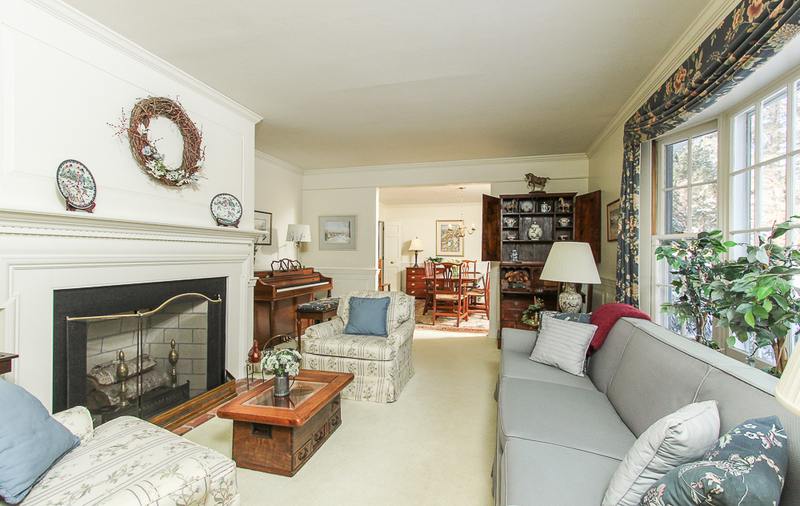 The living room has a second fireplace, a bay window and is open to the dining room with built-in china cabinet. 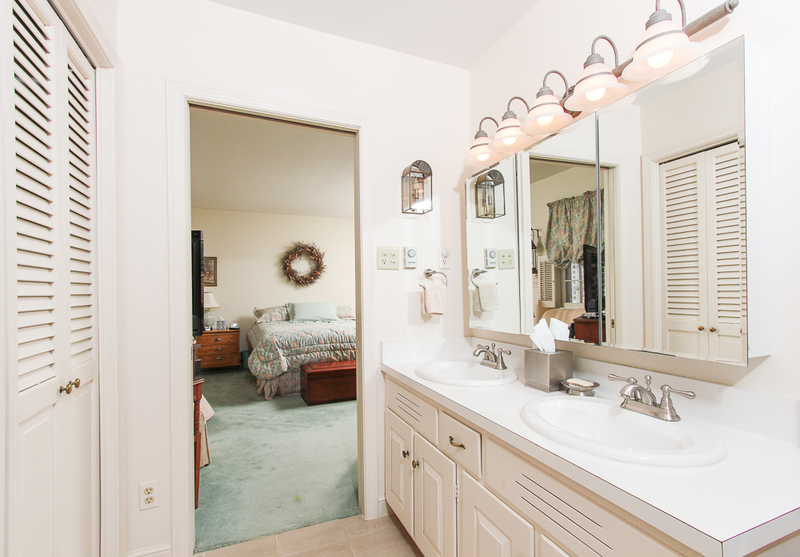 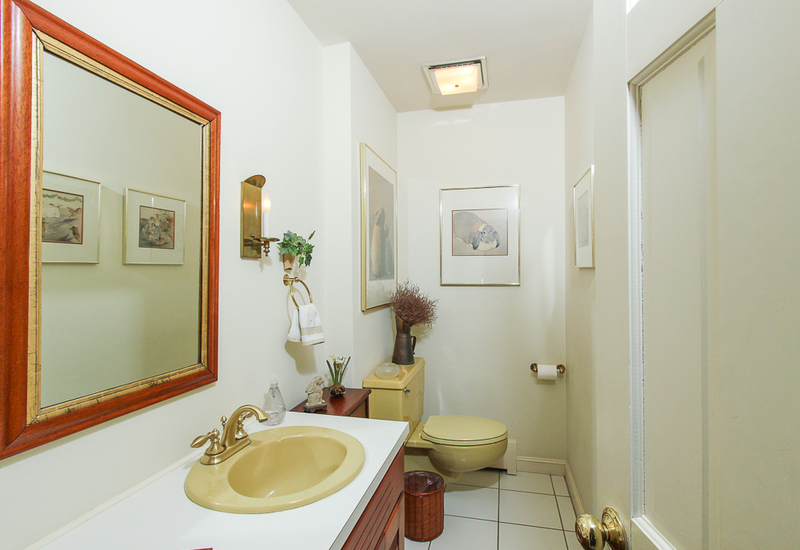 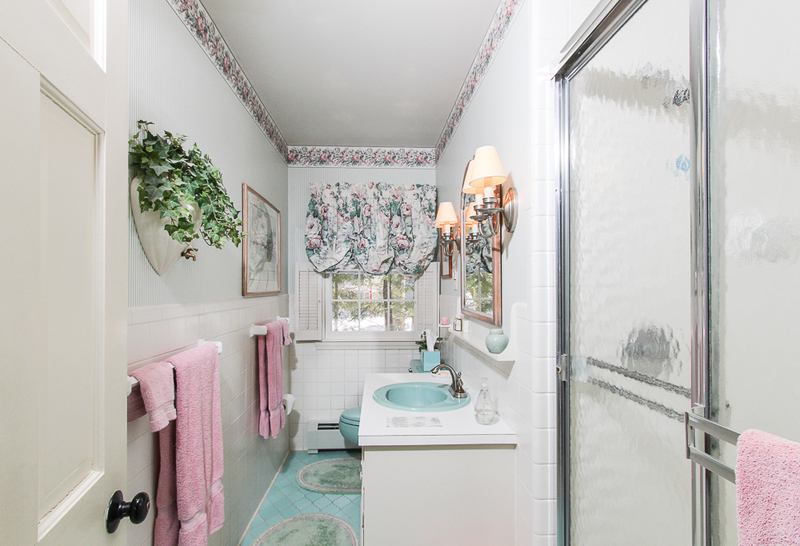 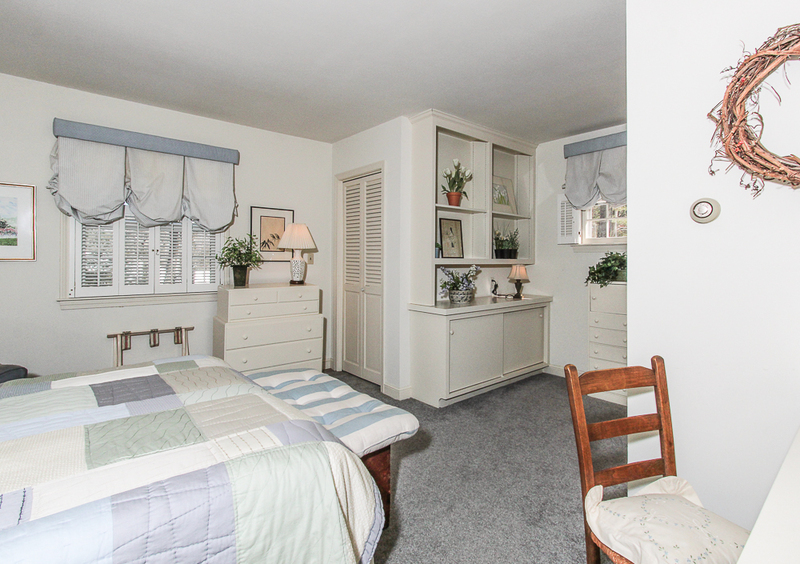 These four rooms are in the center of the house and are truly the heart of the home. 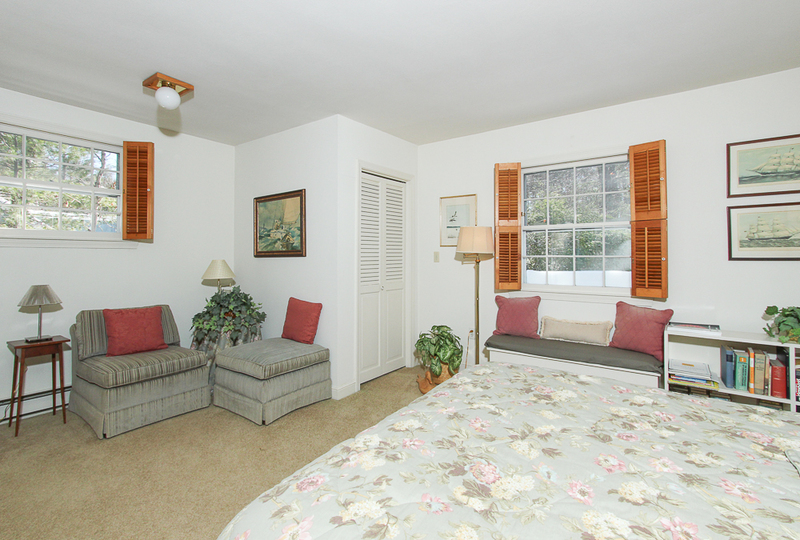 To the left side is a first floor master bedroom with a private bathroom and exterior door to patio space. 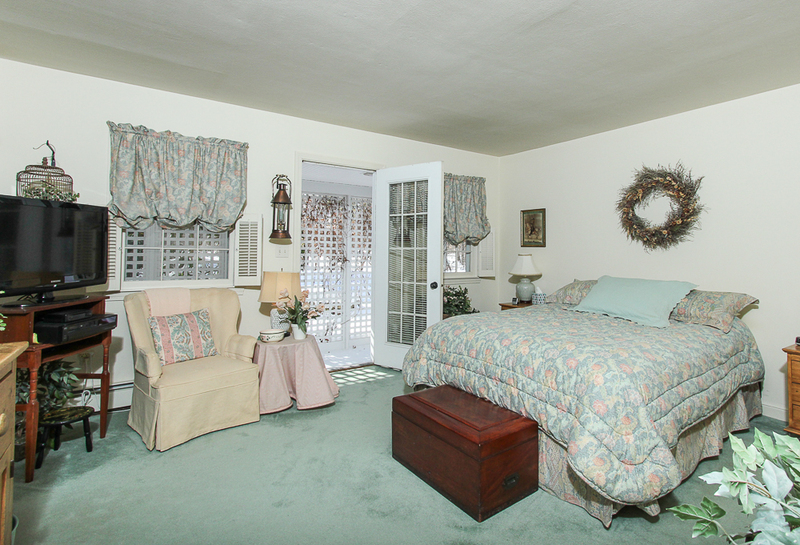 On this side the first floor has two additional rooms, one is being used as a den, with a shared bath and the second floor has two bedrooms and a shared bath. 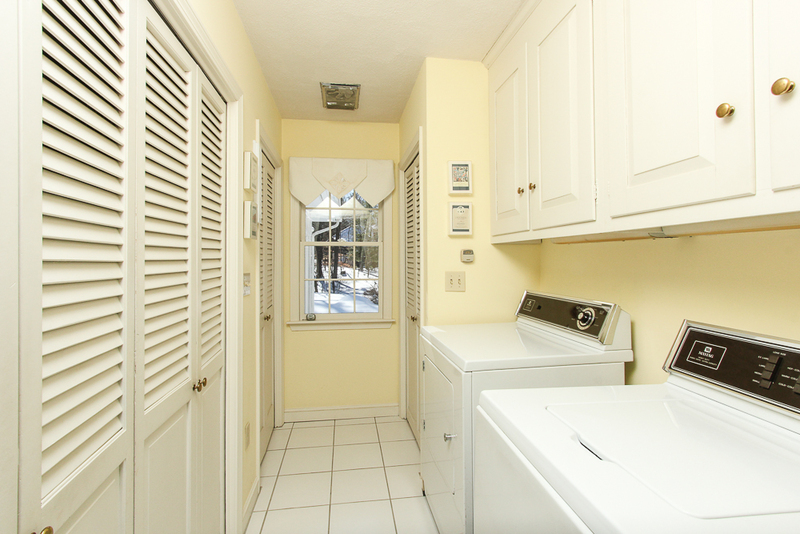 On the other side of the house is a first floor tiled laundry room. 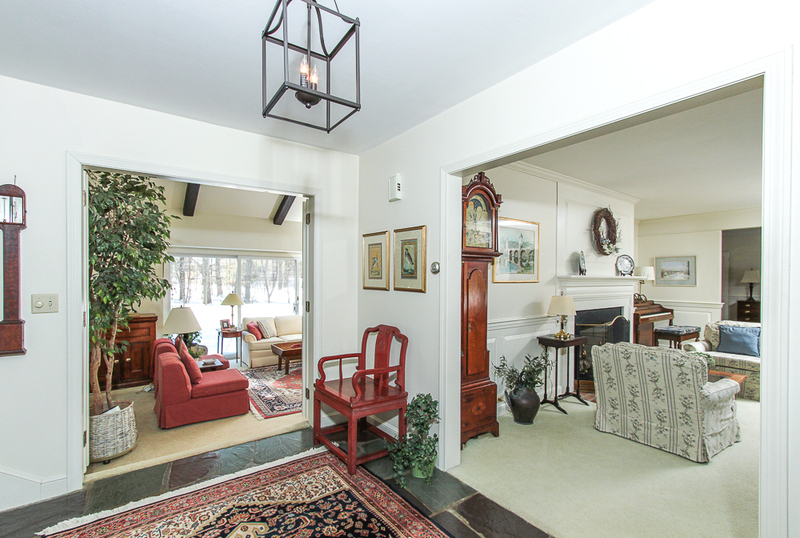 A small hallway leads up to a fantastic bonus room that is about 17 x 34 feet. 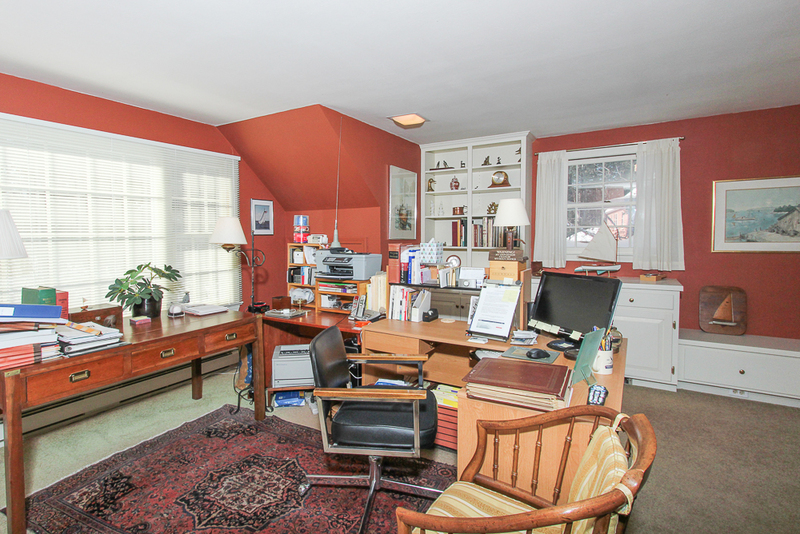 Currently used as an office and additional family room space, this room has many possibilities. 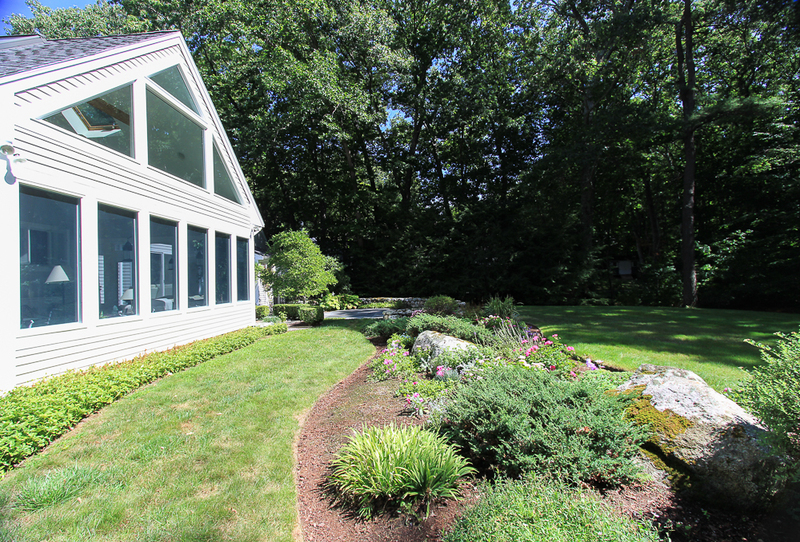 Additional features include an attached three car garage, storage shed, workshop on the lower level, central vacuum, custom built-ins throughout and an irrigation system. 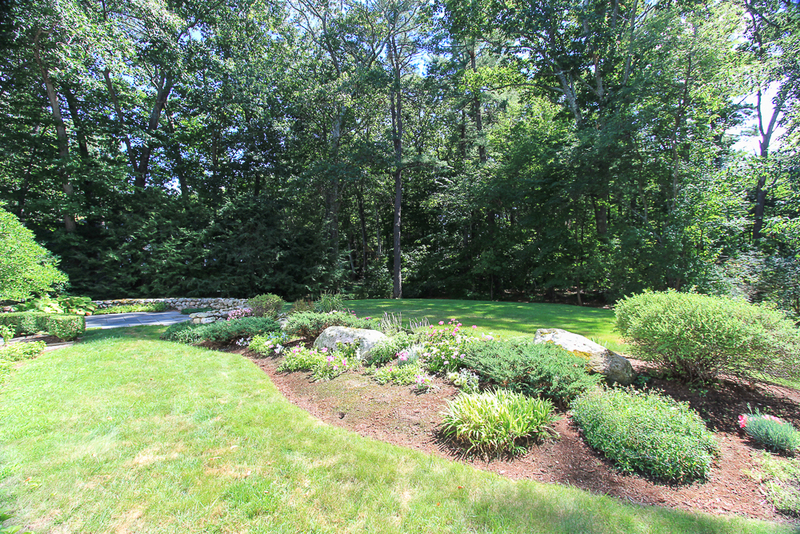 Easy access to Routes 1 and 128.